Winter tried to hold on Monday by dumping between 3 and 4 inches of snow in Connecticut. 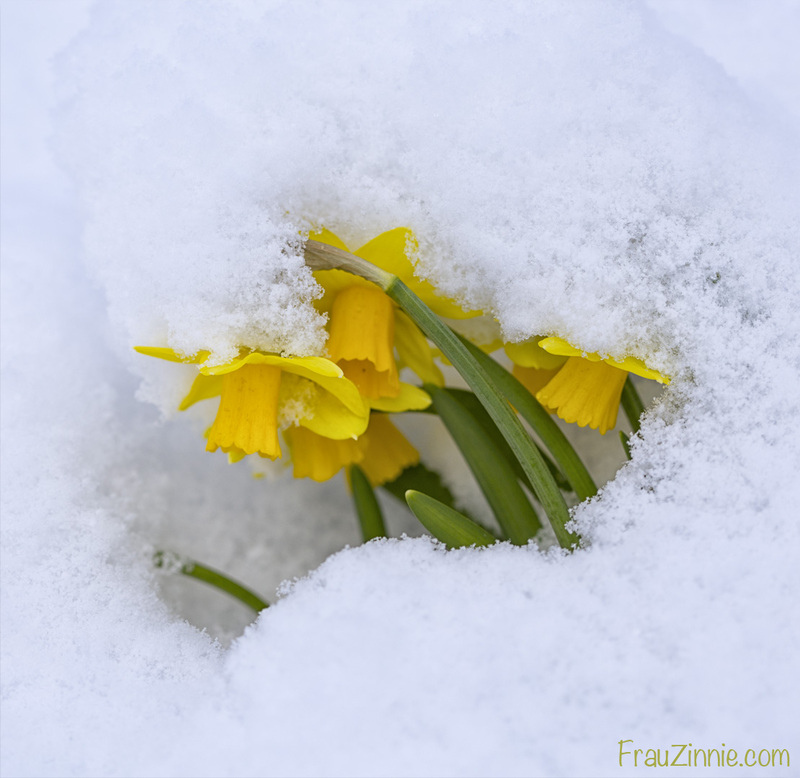 It was the second day of spring. Luckily, I didn't have to worry about the garden for long. By the afternoon, the temperatures had increased enough to melt away every last trace of the snow, as seen in the before and after photos below. Monday morning the front garden looked like this. But by Monday afternoon, the snow was gone. 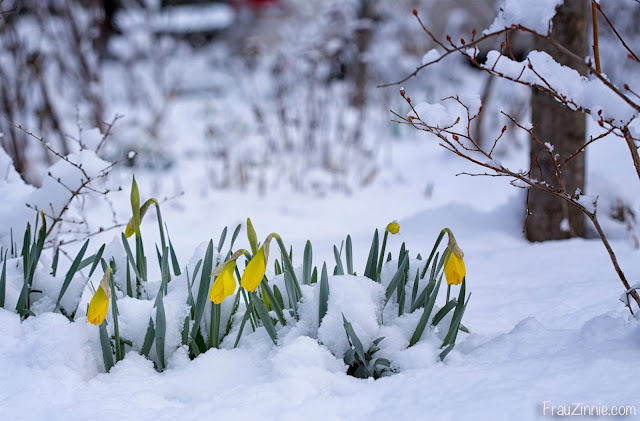 Even though I was worried how the plants - my crocuses, daffodils and hellebores - would hold up to a random snowfall, since this was a relatively mild winter, I didn't need to worry. 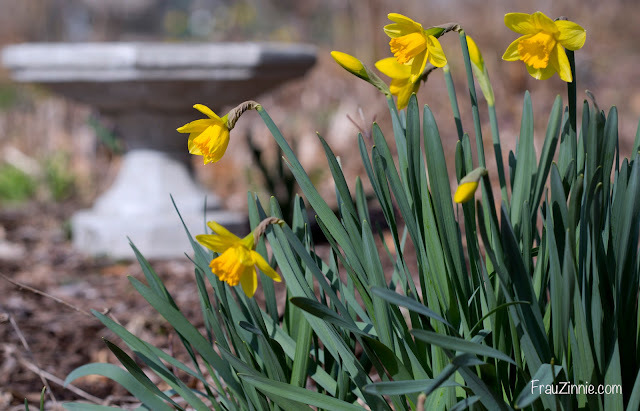 The hellebores bounced back up within a day, and the daffodils were already taking it in stride later that afternoon. 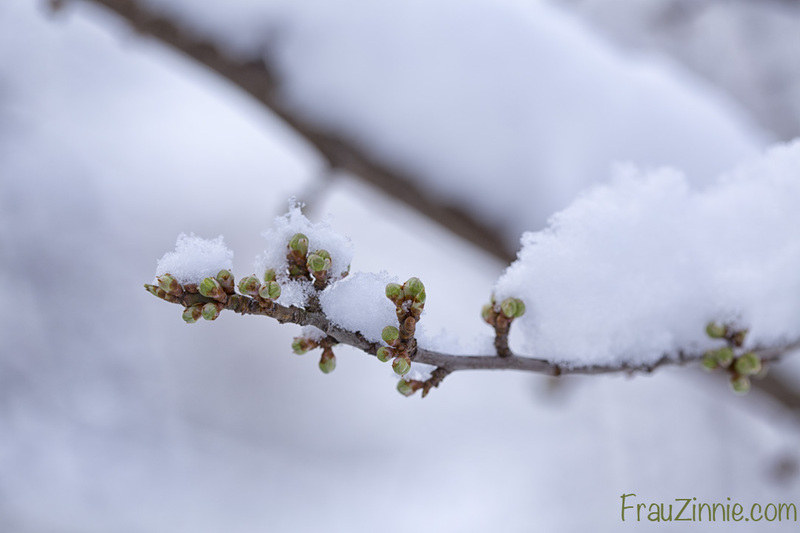 But the snowfall was pretty, and inspired these last winter photos, as seen below. 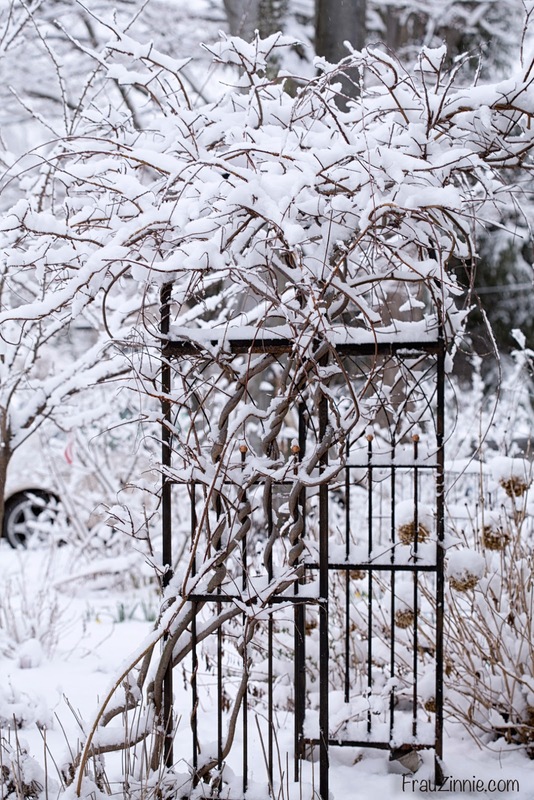 The wisteria arbor and hydrangea covered in snow. 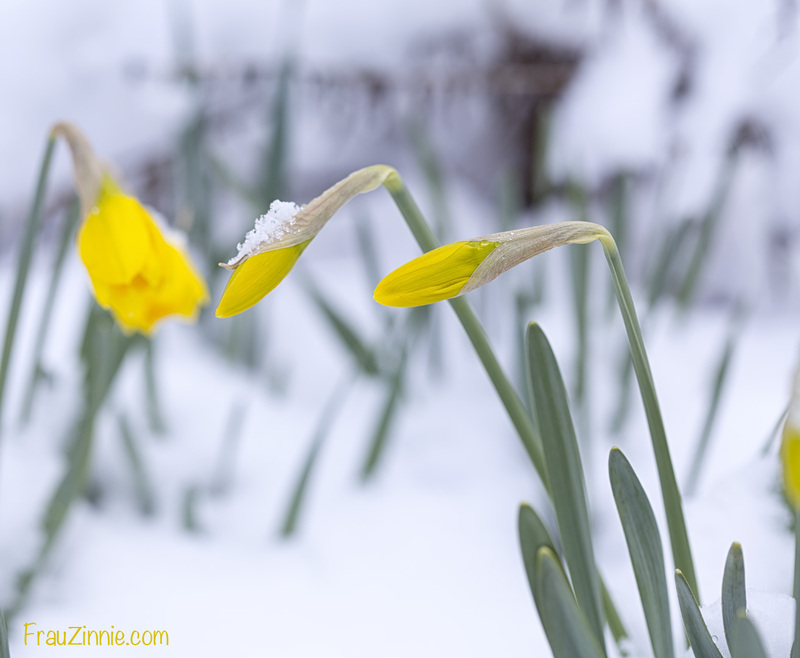 Daffodils among the blueberry bushes. 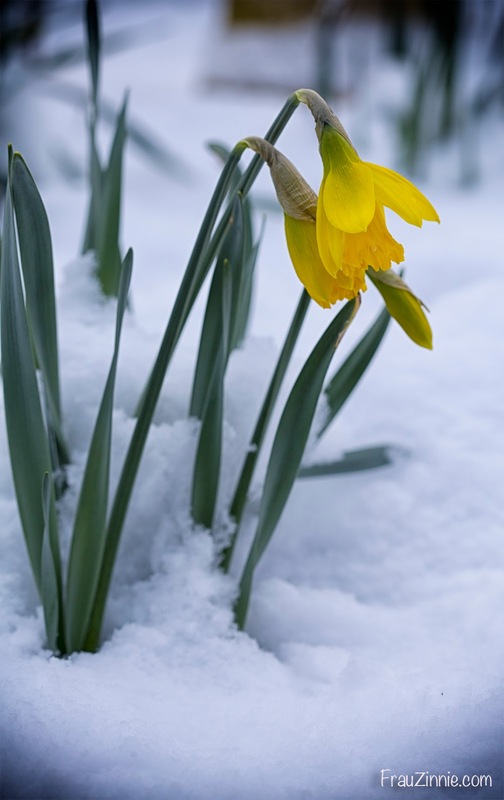 I really like this Tete-a-Tete daffodil photo. 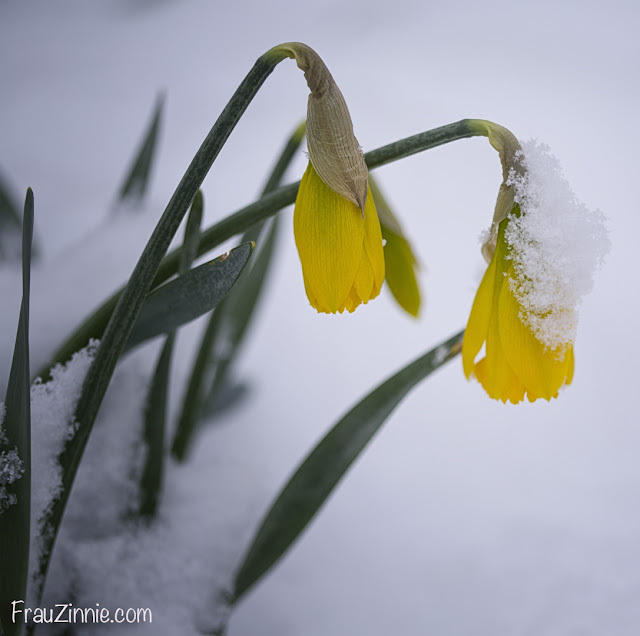 More Tete-a-Tete daffodils under the snow. Plum tree blossoms. 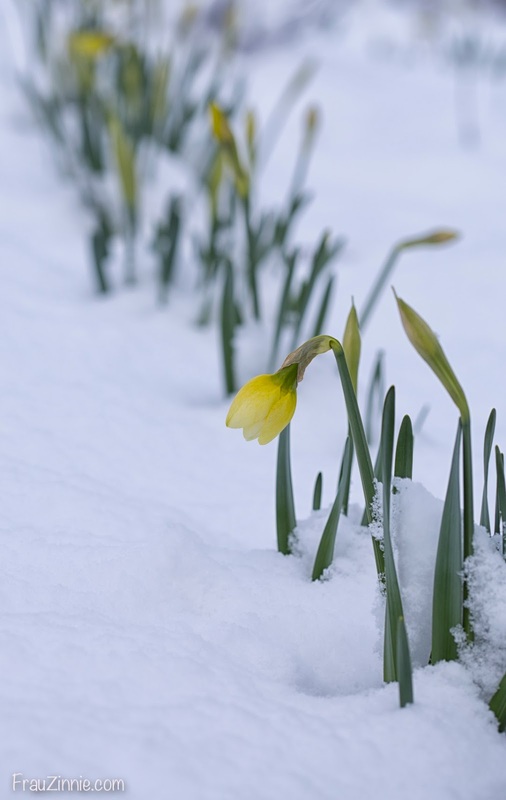 Hopefully the snow won't ruin the blossom set. By the late morning, a good amount of the snow had already melted away. 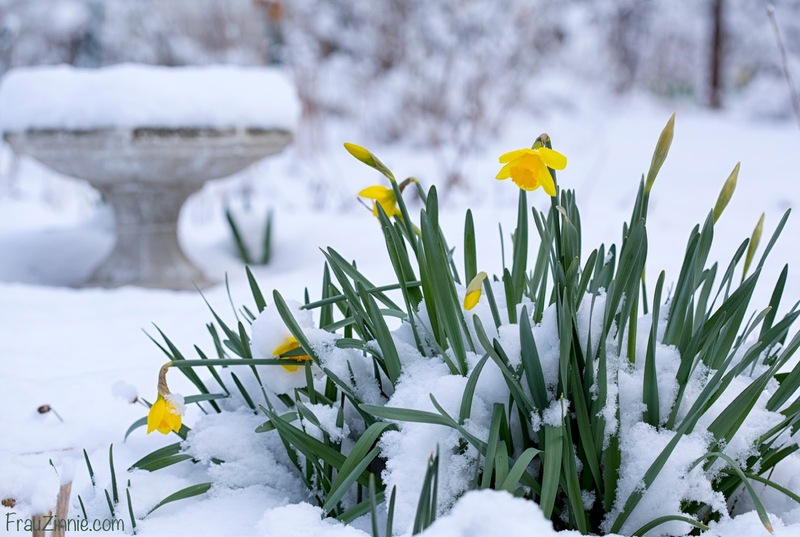 How is the weather in your area during this first week of spring? Gorgeous photos, Jen. 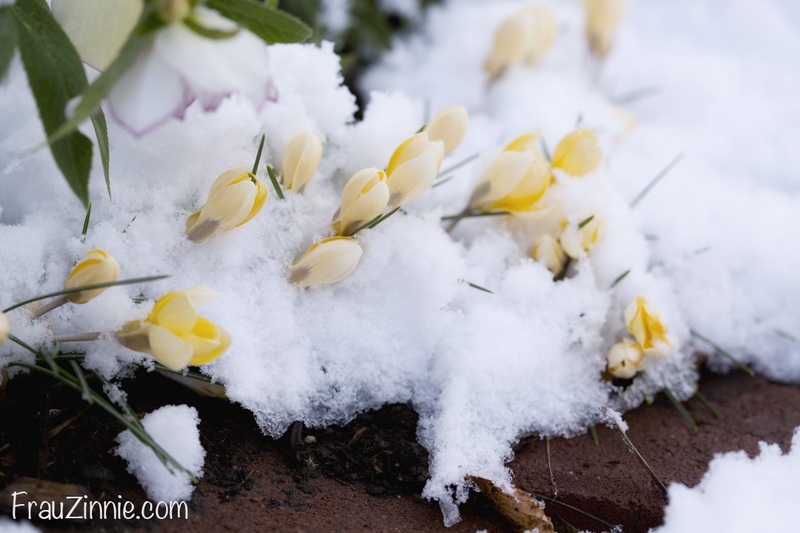 A nice juxtaposition, the pure white snow against the new spring blooming flowers!